The image is one that I have culled from the internet as a low resolution jpeg that was blown up to make it into a wall poster. It may have originally been taken in an identifiable place but after undergoing a great deal of manipulation to remove all traces of civilisation it is now just an infinite horizon over the ocean. It is the sort of blank canvas than anyone can now imagine their tropical fantasies through – whether that is the marketer framing their product with it or the person who has this as a desktop image on their computer. It’s a generic image of paradise but an impossible paradise and one that as you get closer to it is noticeably un-sharp and of compromised quality. Ninety-nine percent of people won’t enter the traditional white cube gallery space to see your work because they feel intimidated. So here, people consume it as they walk by, they can stop and they can look, study it as they talk on their phones or smoke cigarettes, they can visit several times and there’s no intimidation. PARADISE.jpg follows on these threads. That digitized seascape provided one kind of contrast to the urban space of London. London is one of those places from which people flee in search of that tropical fantasy of un-touched seascape, but what happens when the image is returned to one of those places it is meant to represent? 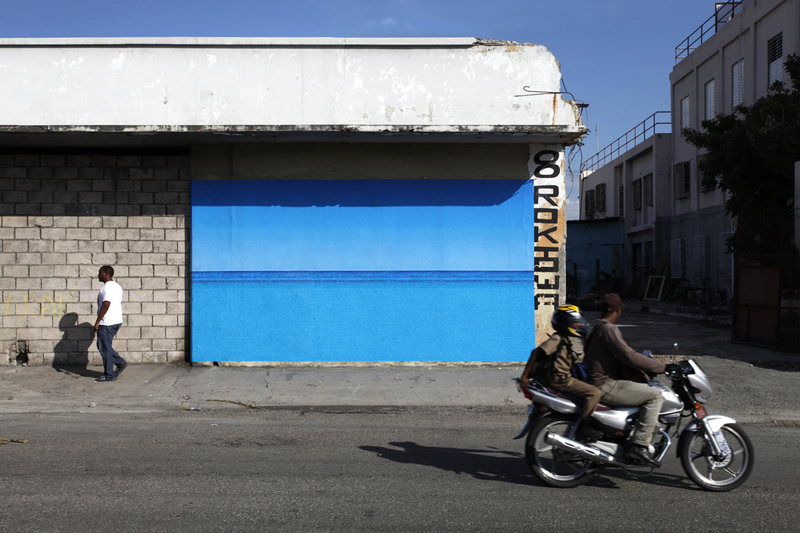 What happens when this fantasy seascape, pixelated and crumbling from its digital travels, returns home to the derelict buildings of downtown Kingston? There is a seascape downtown, but a very different kind. The work begs the question: are the two connected? What is the relationship between this marketer’s tool, this sign of “Caribbean”, and the real Caribbean place it finds itself in? 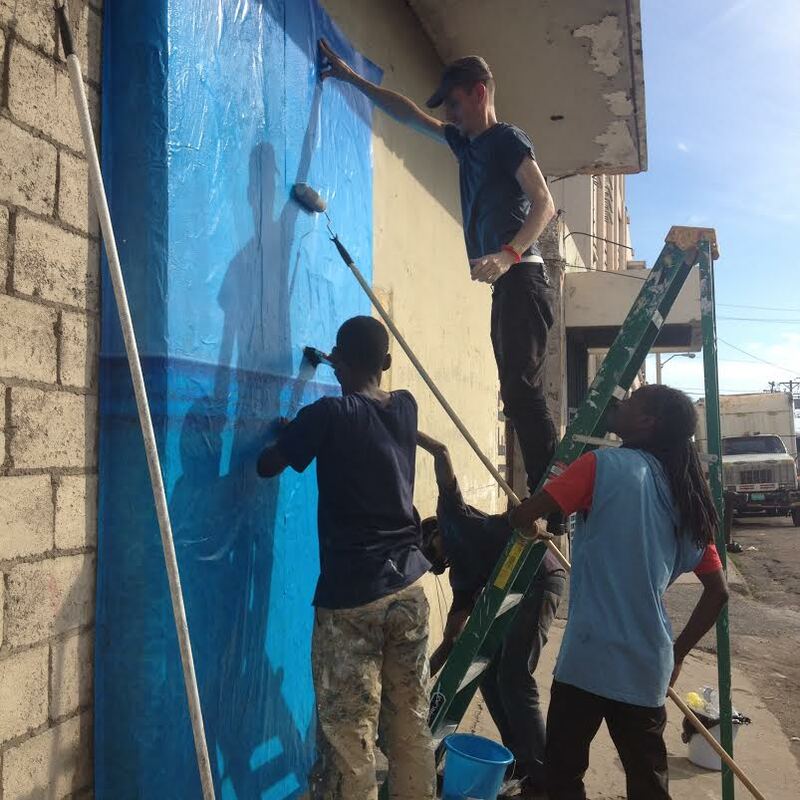 This Caribbean place with real Caribbean dirt, and real Caribbean people who sometimes tear off pieces or smear matter across it, and sometimes repair damaged spots because they like “beautifying” the area. This Caribbean place that is right now engaged in heated debates about the nature of its “brand”? And in a different thread, the kinds of questions posed by our exchange with the custom’s officer. 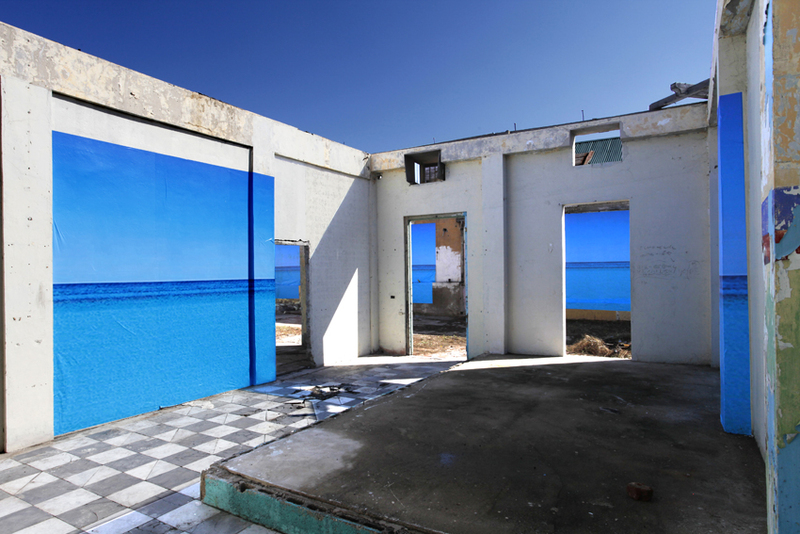 This is how Blue Curry’s work functions; whether it’s an installation like PARADISE.jpg or Like Taking Sand to the Beach (2006), a live video feed like S.S.s. 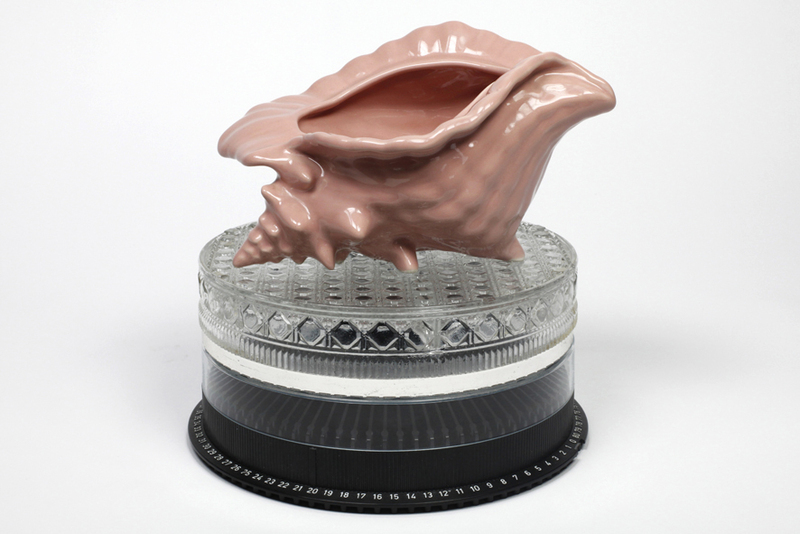 (2014), or a piece of sculpture. In “Blue Curry: Art, Image and Objecthood”, art historian Erica James notes that: “As one settles on an understanding of Curry’s sculptures, they often respond with a quiet ‘no’ or ‘not quite.’ Just as the works appear to reveal meaning, they recede from fixed comprehension. However, they are not opaque or esoteric, but elusive.” (emphasis original) Curry’s work is not hard to read, it’s just saying so much. Not in a jumble either, in discernible threads, neatly braided into a singular work. In 2011, Hyperallergic asked five arts practicioners to pick out some of those threads by “Decod[ing] Blue Curry’s Ambiguous Sculptures”. Rocío Aranda-Alvarado, curator at Manhattan’s El Museo del Barrio had this to say, ”Blue Curry’s objects present woven narratives that are the result of perception, coincidence and subjectivity. 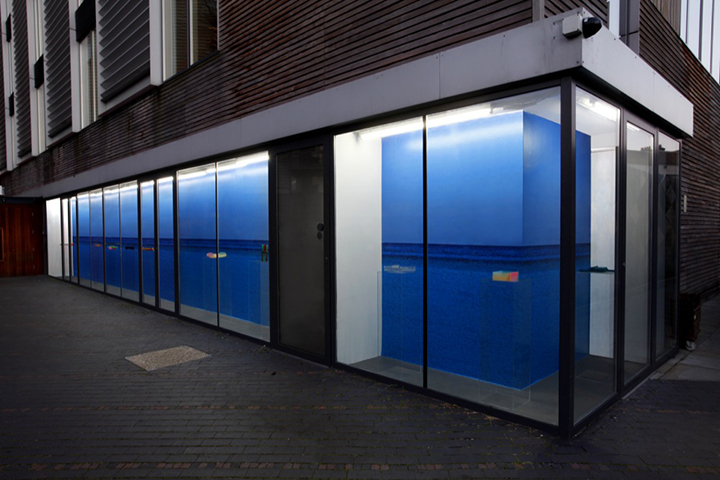 Blue is primarily interested in the viewer’s own relationship to each object and what his/her gaze might reveal.” Though these quotes are in reference to Curry’s sculptures, PARADISE.jpg operates in a similar way. The sculptures bring together apparently disparate items, and re-deploy them in a way that opens a whole new field of meaning through the relationship between the components. 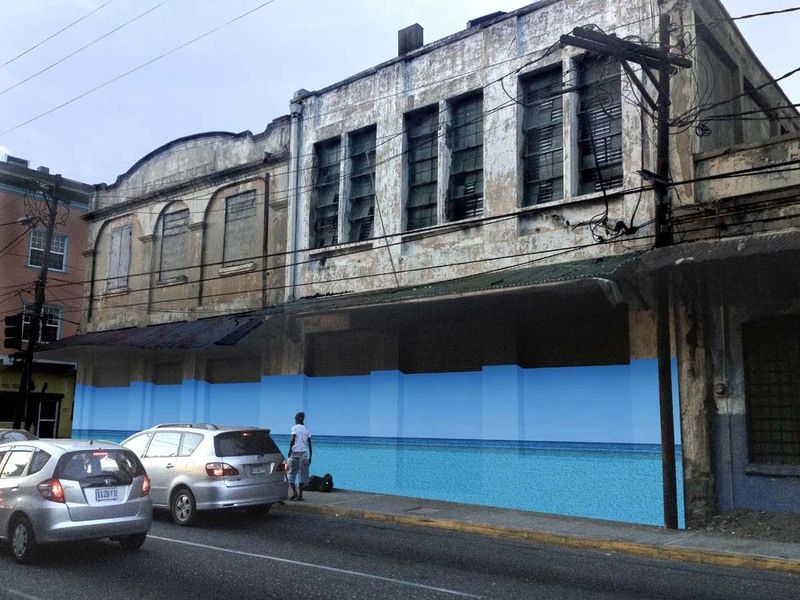 PARADISE.jpg does the same with a low-quality image of a seascape presented as a large-scale public intervention that derives its beauty from the encounter it stages between (i) the hyper-tropical image, (ii) printed on the industrial grade poster, pasted on (iii) the walls of the simultaneously urban and seaside streets of downtown Kingston. All this means something, but it’s hard to pin down. Each component- the material, the city, the image, the architecture and the buildings themselves- carries its own narrative, and each viewer weaves them together (to borrow Aranda-Alvarado’s turn of phrase) in a way that is as informed by their particular way of seeing, as what is seen. Curry has said of his work, “I don’t want to direct people to understand anything in particular from this work [Souvenir] or any of my work in any way. 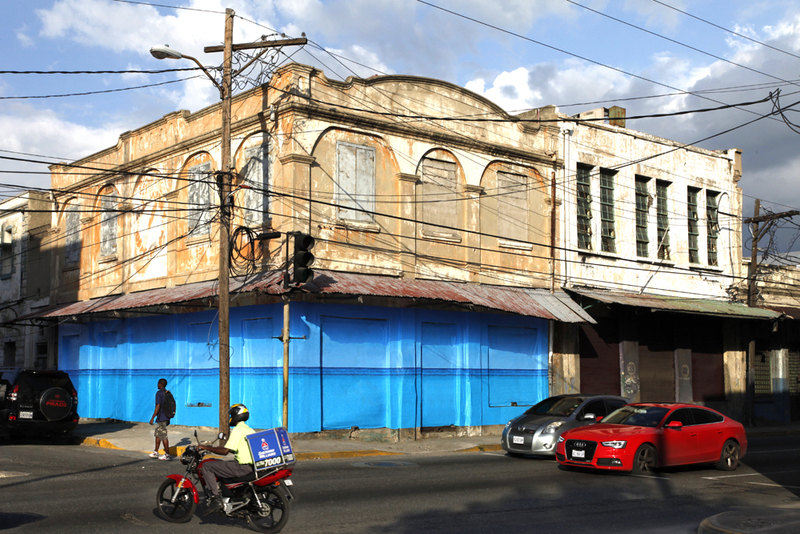 I still feel that the best artworks leave lots of blanks, which the audience is left to fill…” Within the context of the Kingston art world’s recent flirtation with street art, PARADISE.jpg brings something new to the table. This is not street art that comes with a message. Instead, this piece elicits some questions. Questions that are especially worth asking in this era of “branding” and “restoration”. Varala Maraj, “Interview with Blue Curry for Solo Show ‘Souvenir’, London”, ARC Magazine, 9 November 2014. Web. Accessed: 13 March 2014. Claire Breukel, “5 People Are Asked to Decode Blue Curry’s Ambiguous Sculptures”, Hyperallergic, 23 November 2011. Web. Accessed: 14 March 2015. Reblogged this on Active Voice.